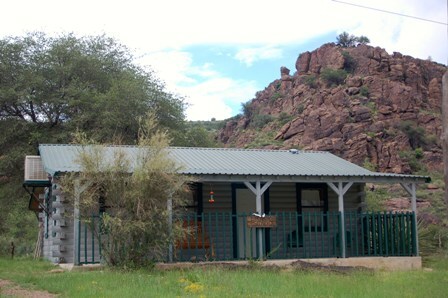 Located in beautiful Limpia Canyon, our wonderfully secluded log cabin sleeps up to four people. The cabin has a fully equipped kitchen, bath, queen bed, sleeper sofa, tv/dvd player (no cable), covered front porch, screened back porch. There is ample room for hiking with awesome views, great dark sky for star gazing, wildlife watching and it is the perfect place for relaxation! Our cabin is non-smoking, no pets allowed.